What were the events leading up to ww2? The second world war was the most harrowing, ad horrific war of all time. One of the only wars that comes close is the first world war, which was only 21 years before it. What could cause such a horrific war to happen so soon after world war one? Wouldn’t people want to avoid another war at all costs? To answer all these questions here are the 10 events leading up to ww2. 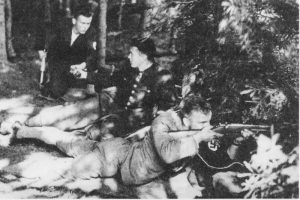 As the communists gained popularity people feared that they would become too powerful, and a lot of moderates turned to the Nazis to stop them. In 1932 the Nazis became the most popular party with 230 seats, the communists were the second largest and still a serious threat. 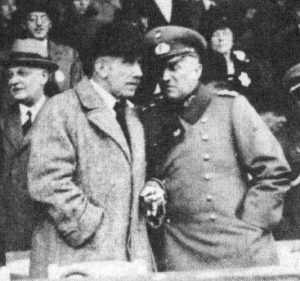 Hitler demanded that he be made chancellor, but Hindenberg thought Hitler was to brutish, and appointed General Kurt Von Schleicher instead. 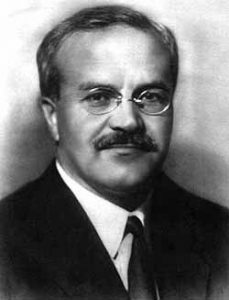 Schleicher’s leadership meant that the Nazis lost popularity, but inadvertently gained the communists more power. This made the right even more fearful of the communists. The ex-Chancellor Von Papen convinced Hindenburg to appoint Hitler as chancellor in response to rise of communism under the assumption that Hitler could be controlled. On 19th January 1933 Hitler finally became chancellor. This was one of the first events leading up to WW2. when President Hindenburg died Hitler quickly gained power and became absolute ruler of Germany, in other words Fuhrer. Hindenburg had been sick for a while, and Hitler knew his life was coming to an end and decided to capitalise on it. When Hindenburg died Hitler created two new laws saying “Section 1. The office of Reich President will be combined with that of Reich Chancellor. The existing authority of the Reich President will consequently be transferred to the Führer and Reich Chancellor, Adolf Hitler. He will select his deputy. Section 2. This law is effective as of the time of the death of Reich President von Hindenburg.” To make sure he had as much approval as possible Hitler had a poll asking for people’s approval, and 90% of German voters said they approved of him. In 1935 Franklin. D. Roosevelt signed a neutrality act to ensure that the U.S. Would not get involved in any wars. “expression of the desire…to avoid any action which might involve [the U.S.] in war.” He did this with Nazi Germany, and other fascist European governments in mind. A world war was becoming more and more likely, and FDR didn’t want to be a part of it. 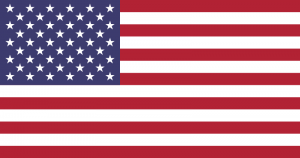 The new act meant that American vessels couldn’t legally carry weapons without a license, and would limit Americans access to sail on ships from hostile nations. Roosevelt was fearful of the future and wasn’t entirely against going to war if he had no other choice. With this in mind he made sure to let people know in one of his speeches that they would go to war if they had no other choice. The neutrality act made it so that Hitler needn’t fear an alliance between America and any other country, so he wasn’t as fearful making his moves. This was a significant events leading up to ww2. 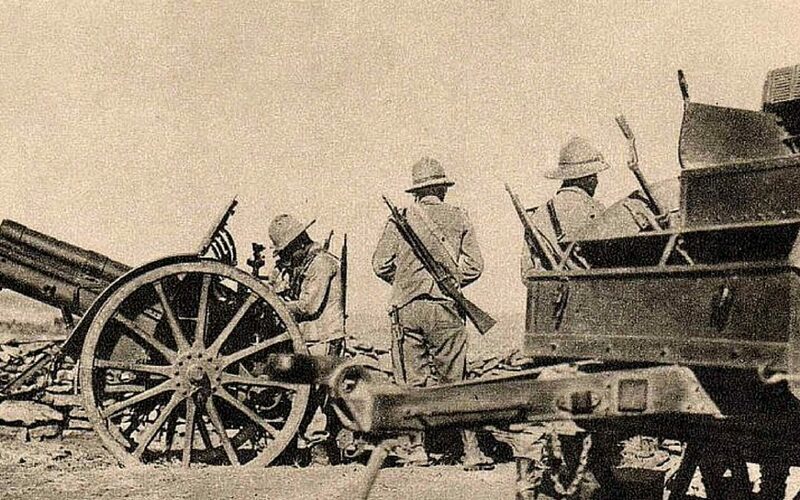 Mussolini invaded Ethiopia in 1935, ignoring the UN who asked him not to. This act showed how little power the League of Nations had over larger, more powerful countries. They could easily control small countries but didn’t take action against the larger ones. 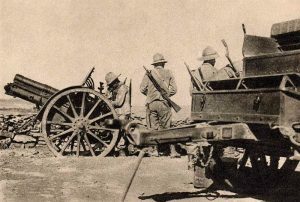 Benito Mussolini had little trouble defeating the Ethiopian army, who had few weapons and little training. After taking it’s capital, Mussolini declared that Italy’s king was now emperor of Ethiopia. 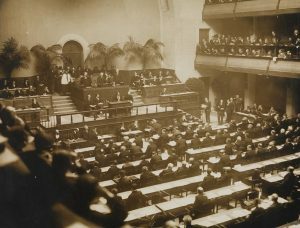 The League of Nations condemned his actions, and threatened economic sanctions, but failed to follow through. A lot of people complained about the League’s lack of actions and stated that if the League couldn’t control larger nations what was the point. Many considered the League a total failure. This is one of the most famous events leading up to WW2. 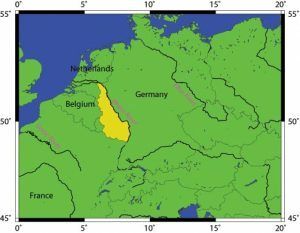 The Rhineland used to be a key industrial region of Germany, producing many different resources which contributed to the economy. It was also a key area in defending Germany, it would be hard for invading forces to overcome if defended properly. The Rhineland was a demilitarised zone, and Germany was prohibited from remilitarising it. In despite of this, Hitler remilitarised it anyway. This move changed the power balance of Europe and cemented the idea in Hitler’s mind that the League would let him get away with anything. 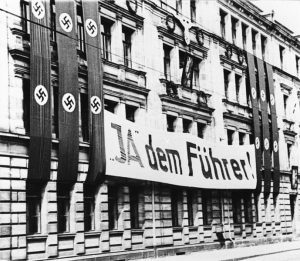 Nazis in Austria had wanted to follow in Hitler’s footsteps and gain power. The second time they conspired the current Austrian chancellor got wind of their plan. He decided his best move would be to negotiate with Hitler and try to make sure Austria remained independent. 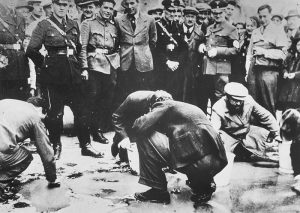 Unfortunately his best move turned out to be his worst, and Hitler simply bullied him into giving up and appointing sever Austrian Nazis to the Government. Eventually Hitler forced him to resign. Hitler advanced into Austria and was met with a welcoming reception. He appointed a new government, and had Schuschnigg put in jail. Czechoslovakia was created after the first world war, and was mainly made up of three different ethnic groups, Czechs, Slovaks, and Germans from the Sudeten area. Their economy was doing well and the country appeared to be flourishing but not everyone was happy. The Germans wanted to be a part of Germany. Hitler wanted to annex the Sudetenland, and wanted to do it without fighting. He thought to create a conflict and then use that as an excuse to intervene. Hitler then began negotiations with Britain’s Prime Minister Neville Chamberlain, who agreed to give Hitler control of the Sudetenland as long as he didn’t invade Czechoslovakia. Hitler later invaded Czechoslovakia on 15th March 1939, breaking his promise with Britain. The League of Nations was clearly had no real power. They could keep smaller nations in line, but when larger countries acted out they didn’t really do much of anything. Hitler knew this and exploited it to the fullest. He kept taking more land knowing that the League wouldn’t do anything, if the League had a stronger presence Hitler might not have been able to gain as much land as he did. If the League enforced the treaty from the beginning he would have had a hard time taking power. One of the events leading up to WW2 was the non-aggression pact between the Nazis and the soviets. Hitler wanted to take Poland but knew that now was his best chance. He was convinced that Britain wouldn’t declare war on Germany on it’s own, and wanted to take Poland before they could make any alliances. Part of his plan was to create a non-aggression pact with the soviets to make sure they couldn’t ally with Britain and take on Germany. 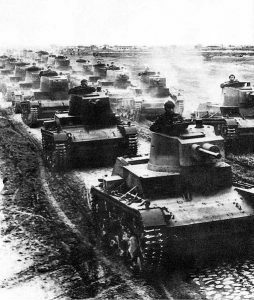 Britain had appeased Germany so far but stated that if Germany invaded Poland England would go to war with Germany. Hitler thought that Britain’s Prime minister was weak and indecisive, and wouldn’t go to war with Germany. Hitler’s generals tried to convince Hitler not to go to war but he dismissed them convinced it would be a short war. Poland was defeated in a matter of weeks. Unexpectedly Britain and France declared war on Germany on 3rd September 1939. This was the last of the events leading up to ww2.